An exchange during a June Guild 21 call and a discussion last year during an SCRS SEMA event raised the topic of how well third-party aggregators mirror the evolving official OEM repair instructions. Toyota Collision Repair & Refinish Training administrator Agustin Diaz took a question during the June call from a shop about the airbag inspection Toyota collision repair procedures required on a 2005 Toyota Sienna. No code or light was present and no airbag was deployed on the Sienna in the shop, the audience member explained. But ALLDATA’s version of Toyota’s instructions demanded the shop inspect the physical airbags — which would have added cost and complexity to an otherwise minor repair, she said. Diaz concluded that the ALLDATA repair procedures the shop had consulted were missing an instruction found in Toyota’s original repair procedures, which stated that undeployed airbags only needed to be inspected if a code or light was present. Asked for comment on the matter, ALLDATA said its records showed no such discrepancy — CRIB #160 and current Toyota OEM procedures indicate the inspection is required anyway. 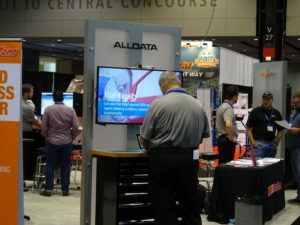 ALLDATA is the industry’s #1 source for unedited OEM information, and we are dedicated 100% to providing our customers with the same factory-direct OEM technical information and repair procedures as those found in OEM publications. We are constantly processing data from the channels authorized per our OEM agreements. We have a dedicated data publishing team that works day-in, day-out to publish the information exactly as the OEM provides it to us, and we do not modify the content in any way to ensure our customers get the repair procedures exactly as the OEM provided. The current article and CRIB (#160) for this specific vehicle state that the system must be inspected even if the airbags didn’t deploy. If the CRIB were superseded, it is not reflected on Toyota’s Technical Information System today. “In minor collisions where the SRS does not deploy, all SRS components and wiring should be inspected before further use of the vehicle,” CRIB #160 states. “Even in the case of a minor collision when the SRS does not deploy, the horn button assy, instr pnl pass l/door airbag assy, airbag sensor assy center, airbag sensor front, front seat airbag assy, side airbag sensor assy, curtain shield airbag assy, airbag sensor rear, seat position airbag sensor and occupant classification ECU should be inspected,” Toyota repair procedures for the 2005 Sienna state. The anecdote still highlights the potential risk for collision repairers seeking to consult OEM repair procedures through a third-party database. It also reinforces the need to check the repair procedures on any technical question. “Read the repair manual,” Diaz urged at one point during the call. I-CAR’s RTS — which points to the OEMs’ formal repair procedure websites — and the actual OEM repair procedure websites were second and fourth, respectively. However, going third-party still seems to create a risk that something gets lost in translation. The procedures change quickly; the Guild 21 call included an example of one that changed a little more than a month later. The issue of such discrepancies arose during the trainer panel at the 2016 Society of Collision Repair Specialists OEM Collision Repair Roundtable. Asked about third-party aggregators, automaker collision repair trainers cautioned against using anything other than their own OEM websites. James Meyer of Toyota recalled a version of Toyota repair procedures on one such information service which was obsolete; the OEM had since changed the methodology. “They’re trying to recreate a database that already exists” and is updated constantly, Mike Kukavica of Porsche said, indicating that such a project was destined to have flaws. He said he sees repair information change on a weekly basis. Shawn Hart of Audi also said sometimes “fairly important information” might be missing on such services. Hart also said that if a technician is working from the OEM website rather than a replica of it, he’s more likely able to assist that repairer with a technical question. If a third-party site misses something, where does that leave the shop fixing the car off those procedures? ALLDATA didn’t respond to a question regarding if it indemnifies shops should its version of repair procedures ever be wrong, incomplete or outdated. We raised similar questions with Audatex, Mitchell and CCC, which also aggregate OEM repair procedures with AudaExplore TechFocus, RepairCenter TechAdvisor, and Repair Methods, respectively, and were all represented in the “Who Pays?” survey. What do those IPs do to keep repair procedures current and correct, and do they indemnify a repairer should a discrepancy between their representation of OEM instructions and the actual automaker information lead to an incorrect repair? 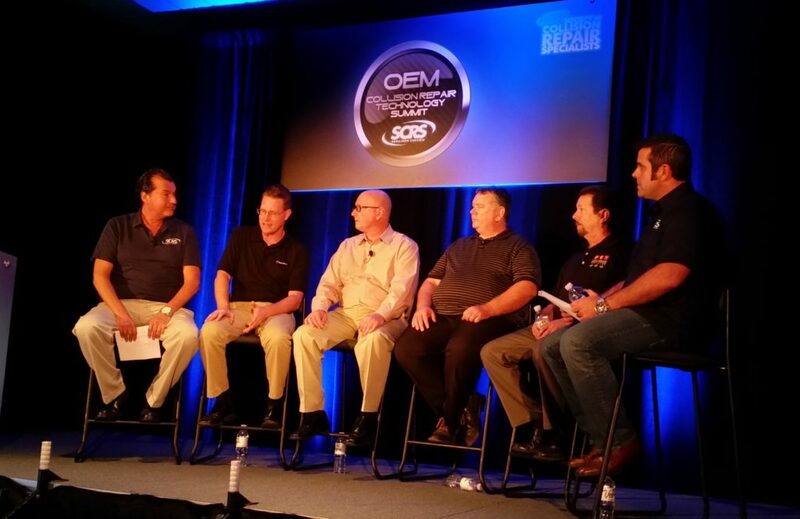 Learn how to access and use OEM repair instructions during the SEMA Show from John Shoemaker, BASF, with “The Basics of Blueprinting”; Matthew McDonnell, Big Sky Collision Centers, with “Building a bulletproof estimate through proper documentation”; Dave Gruskos, Reliable Automotive Equipment, with “Get Attached to Following Procedures: A Comprehensive Guide to OEM Joining”; and Larry Montanez, P&L Consultants, with “How to Find, Read and Understand OEM Repair Procedures.” The sessions are part of the Society of Collision Repair Specialists’ Repairer Driven Education Series Oct. 30-Nov. 4. Register here for the individual classes or the series pass package deal. “I don’t have anything on this topic,” a spokesman wrote for Solera/AudaExplore. CCC works with MOTOR to access and provide OEM procedure data through its CCC ONE® Repair Methods solution. MOTOR monitors OEM service information changes through a variety of ways in an effort to ensure information is accurate and complete. For example, each year when OEMs make new content available, MOTOR researches this information and compares it to information previously provided to ensure it is complete and consistent. MOTOR also monitors service bulletins and responds to anything that might impact a repair procedure. Lastly, MOTOR investigates and takes appropriate action when a customer support request may indicate an OEM has made changes since it originally published the service information. CCC does not indemnify repairers use of the CCC ONE Repair Methods solution. Mitchell also took a third question about this issue as it regards to the company’s repair-procedure partnership with Toyota. “(W)ith regard to Toyota, we receive their electronic service procedure information from their Service information site in electronic format via their 3rd party partner on a quarterly basis and we then incorporate as-is into our estimating systems after we map or cross-walk the repair procedure topic to the part and part categories in our systems,” Mitchell service and operations Senior Vice President John Gilmartin wrote in an email.